You are here: Home / Consumerism / Do New Year Resolutions Work? Parents? Kids? Teens? Teen Vogue has just released their 2017 New Year’s resolution playlist, and a historic lens of where the tradition came from, and given that I’m now a subscriber and newfound fan of Teen Vogue’s scorching truth-telling journalistic lens, it’s heartening to hear younger voices ringing loud and clear instead of resolutions FOR youth by parents positioned as media musts. Several other youth driven magazines and cultural commentary are worth a “hmn” on critical thinking, from Elle’s fun flameout factor using good gifs as a New Year’s trajectory tracker of good intentions gone south…to a rather disconcerting take down of MTV’s very mild humor and satirical ‘resolutions for white men’ which was so flamed and shamed with offended angry intolerance/accusations of ‘racism’ and a disturbingly trolled comment section that signals a new era of Trumplethinskin that it vanished from their YouTube channel. Hmn indeed. So let me get this straight, white guys regularly use media platforms as sexist bully pulpit purveyors who think nothing of misogynistic malevolence (GamerGate, etc.) as long as they’re not ever the target of even the mildest ridicule or rancor? No humor or irony allowed as it ‘perpetuates’ racism? That’s beyond discordant, it’s a ‘don’t rock the power’ cowardice that smacks of white supremacist rumblings and over-sensitive censorship which I find downright chilling and watch-worthy as we enter into this New Year of 2017. Heads up, people…we have a looooooong way to go in 2017 on the fairness front. I mean, c’mon, folks, let’s resolve to get real, shall we? Kids and adults may collaborate on what they’d like to see shift in their relationships, compare notes, strategize, or navigate personal goals, but trying to cram adult needs into kids’ heads (or vice-versa) is an automatic synapse jam. Each year, AAP pediatricians and ‘experts’ offer their spin on ‘healthy resolutions for kids’ and each year I try not to spew my morning coffee at the arrogance of adult assumptions and school marm verbiage, even when worthy in ‘concept.’ I Googled the topic and almost every blog served up the same ‘expert’ banter in multiple variations set to different age groups and goals. Dare to be different, folks! Some of my favorites from his resolution list? They’re unequivocally self-made and their own to follow…Now, as far as whether or not those resolutions work or not…Surprise! Clinical psychologist John Norcross (npr podcast here) notes those who make resolutions are TEN TIMES more likely to change their behavior than those who don’t! It helps me ‘lead from the mountaintop’ and look back down to ‘find the path of how to get there’ as my Women Leaders for the World/GWLN coaches would say. Seems healthy. But what does goal-setting mean from a kids’ point of view? Are our brains working on the same wavelength in terms of triggering maximized brainpower? 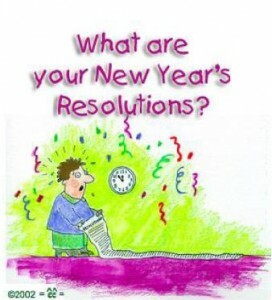 Are New Year’s resolutions productive pursuits or stressors? Serious challenges or shoulder shrugs? The most common generational overlaps occurred with career, fitness and finance issues. “Graduate high school/go to college, eat healthy/exercise more, get out of debt/pay off my student loan,” etc. “Be more bold/adventurous/try new things or “watch less tv/get out more” etc. Sure, the youth point of view and language was different, but the cycle-breaking and intent wasn’t that far off between the generations. Lots about applying oneself, lethargy, getting good grades/studying more, etc. -When things start moving really fast, start thinking slow. -Take care of your credit. Seriously. “New Years resolution of a teenager” from the PinoyTeens.net blog in the Philippines, (at left) gives a media savvy snapshot from a webhead perspective of how different teens are engaging with media. …Almost like we’re witnessing the societal pressures being put on kids firsthand. …And make them your own. 2. Brush my teeth everyday. I will do this by finding my toothbrush. 6. Build a two headed snowman. I will do this by… well… just doing it! p.s. My resolution is to watch using my Facebook account as a link hub to plop bookmarks I want to remember because tonight two of my friends said they’re getting every move I make in their feed! eep! You’ve included pretty much everything that I would like to say, fyi: you misspelled my family name, it doesn’t has a C.
Fun post, especially seeing what kids have come up with on their own. 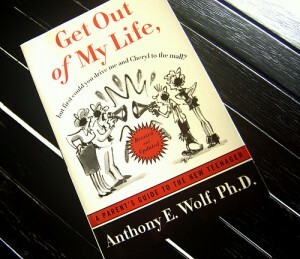 I love LOVE Wolf’s book – it’s my teen parenting bible and I recommend it to everyone! Amy, I’ve been thinking about resolutions lately… Do most people keep resolutions more than a month? Some say, “yes,” others, “no.” It would be interesting to canvas teens to see if they are still keeping the ones they set for the year. 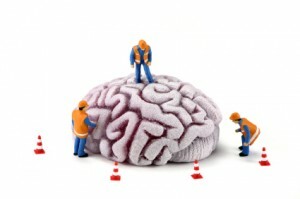 Robyn McMaster’s last blog post..Zoning Out When Doing Routine Tasks? Hi Robyn, Ironically, I just received this note from Cindy Loughran who I wrote about here: http://blog.shapingyouth.org/?p=4400 and she happens to have a session on this topic kicking in on Monday! “Remember your New Years resolutions? It’s February now. Are you living into new possibilities? 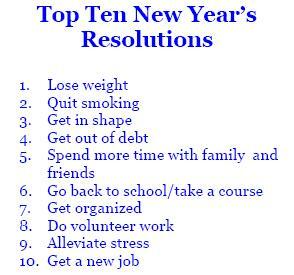 Or… uh … did all those resolutions seem like a better idea back on January 1? could be that you simply need to shift your energy. Please join me on a free call hosted by my coach and colleague, Suzanne Falter-Barns, on-line platform building expert. Along with psychic, Andrea Hess, we’ll be talking how shifting your energy can create great changes in your life. 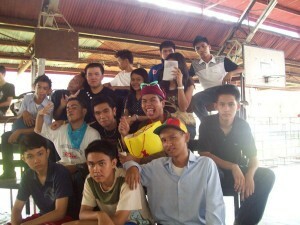 Hello dear Shaping Youth Contributors, how are you doing? It’s been some time since you discovered our website and we haven’t really progressed since then, but we’re on our way back out of the slump after getting over your post again which we have written. Thank you again for featuring us here, it shall serve as the foundation of a new Pinoy Teens Online in the coming weeks. -Kevin Paquet of Pinoy Teens Online.